If we’re all honest with ourselves, EA’s done a terrible job with Star Wars to date. The first game in its mammoth contract with Disney, the multiplayer-only Star Wars Battlefront, was perfectly adequate but felt undercooked. 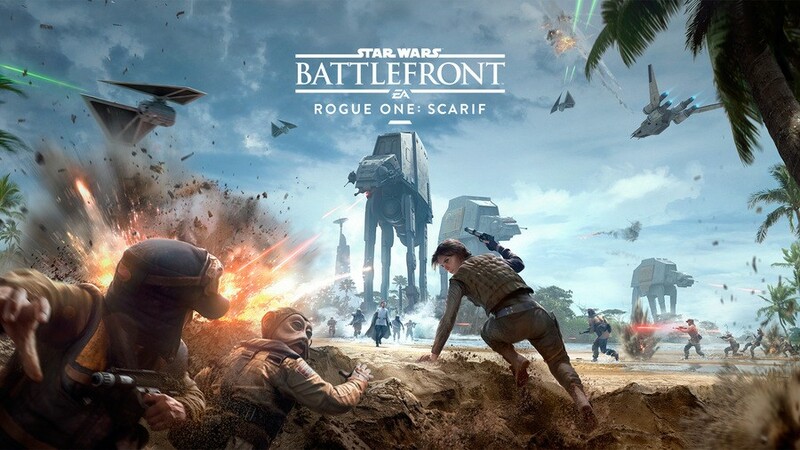 Its successor, though, Star Wars Battlefront 2, prompted one of the biggest backlashes in gaming history, as it was flooded with controversial microtransactions at launch. Since then, the publisher’s cancelled multiple in-progress projects – including an action adventure game from former Uncharted creative director Amy Hennig. And while it promised that Respawn Entertainment’s Star Wars Jedi: Fallen Order will launch this year during an earnings call overnight, fans have been campaigning for the license to be taken away from the publisher. It doesn’t sound like that’s going to happen, though, as Disney indicated during its own investors meeting this week that it has a “good relationship” with EA and is happy with its work. “We’ve had good relationships with some of those we’re licensing to, notably EA and the relationship on the Star Wars properties,” CEO Bob Iger explained. The executive added that Disney has never been very good at publishing its own games, despite multiple attempts over the years. You may recall the company shuttering Disney Infinity a few years back, effectively putting an end to its efforts in the space. “We’ve found over the years that we haven’t been particularly good at the self-publishing side, but we’ve been great at the licensing side,” he said. Time to scrap that Change.org petition, then. seriously Disney are OK with 2 lackluster games, many cancelled projects and the whole Loot Box fiasco? Bob Iger is just playing nice right now, PR mode. There's no way Disney as a whole can be happy with what EA has done with the property. Translation: Disney's not paying attention to EA's work on Star Wars. i mean it's not that the disney star wars films are that great either according to many. so yeah not suprising that they would be happy with whatever EA does to star wars,as disney themselves don't seem to know what to do with the franshise. @Enuo By the reaction of SW VIII and reception of Solo, I would say Disney is not paying attention to the Star Wars IP. Wow! Disney's either got an incredibly low bar these days or someone at EA is holding one of Bob Iger's pets hostage to make him say that! 😉 Mind you, it's probably the former, as it's not like Disney seems to care much about Star Wars themselves, given what we've been treated to recently with the movie franchise! Are they happy with the quality of the games, or the amount of money they are making from them? I think we all know the answer. Pretty sure Disney is just trolling EA with that "good relationship" comment. Learn your gaming history folks. They signed a 10 year contract. It's just PR, pure and simple. Why wouldn't they be? They made so much money for them. That Star Wars Uncharted game could've been so good, though. One great game and a boring, botched sequel, wish they'd have done better. My thoughts exactly. Disney seems more than happy to pump out mediocre Star Wars films why wouldn't it be happy with mediocre SW games? Translation: How Disney feels about gamers....they dont. Disney already got paid, they don't care. Admitting it's a giant mess is just bad PR and Star Wars has already had enough of that. @Nyne11Tyme I mean if they're somehow making money then its the gamers are the ones who don't care what they're playing (and paying into), right? Same thing will happen with Anthem. Everyone's spidey senses about this game I think are accurate: its nothing special. But I predict the small numbers that do will find a) a Youtuber who promotes the heck out if it with their Let's Plays or engage with like minded players. That will snowball to more and more media attention. You'll have people who either were on the fence or not interested at all suddenly getting into it simply because there's a social media presence surrounding the game. They'll play it, maybe even like some aspects of it, but it won't hold. And those same people will drop out of it and wonder why they got into it in the first place? Well its because they basically either ignored or forgot their initial specific reactions to the game from the months before and leading up to launch. Of course they are. EA paid them a boatload of money for the license - what happens after that is irrelevant. Disney are just as bad as EA when it comes to money. @Gamer83 @GKO900 They don’t manage any of well for sure. I thought 8 was much better than 7 personally, but since the director of 7 is directing 9 is means the trilogy will be a disaster. The director of 8 obviously didn’t like 7 and so did damage control with 8. Problem is 9 will be like 7 and probably do the same to 8. Disney has managed to make an incoherent trilogy because of no real forethought for assigning people to make the movie. No matter what you say about the prequels, they felt like a trilogy. The games probably keep getting that same treatment. Episodes 1 and 2 sucked, 3 was ok but yeah I agree at least the prequels followed some kind of storyline. I didn't like 7 or 8 and I'm not going to bother watching 9. Actually, as long as Disney has the series, I'm probably done with Star Wars, they're too concerned with dumb stuff than with actually making good movies. Disney just needs to look at what they did with Marvel and Kingdom Hearts to see what good relationships look like. To be fair though, I would not expect the CEO of Disney to say anything different. I expect that license to go elsewhere once their deal is done. Disney's last Star Wars film LOST MONEY AT THE BOX OFFICE. Not even Disney can produce a successful Star Wars product anymore. They are as inept and incompetant as each other! Man their standards are low as hell, last Jedi explains it all..
Pfffff...Disney don't care.... Put out one good game or five bad ones. Licencing money is in da bank yo. But EA has had the license for 6 years and released 2 games that lacked content, had a bunch of problems, are regarded as being inferior to it's predecessors form over 10 years, have been at the center of numerous controversies, and generally angered fans. And cancelled numerous projects. I'm honestly not seeing what part about that is meant to make Disney happy.